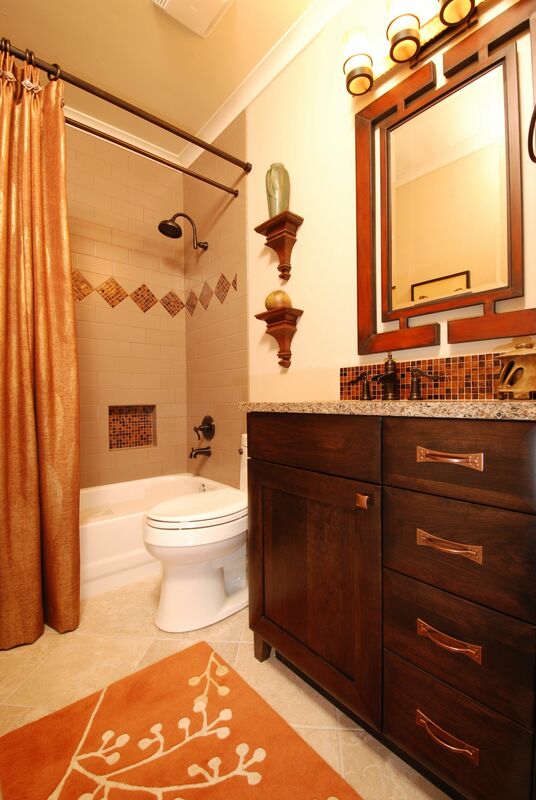 We revitalized this powder room with updated cabinetry, plumbing and tile. 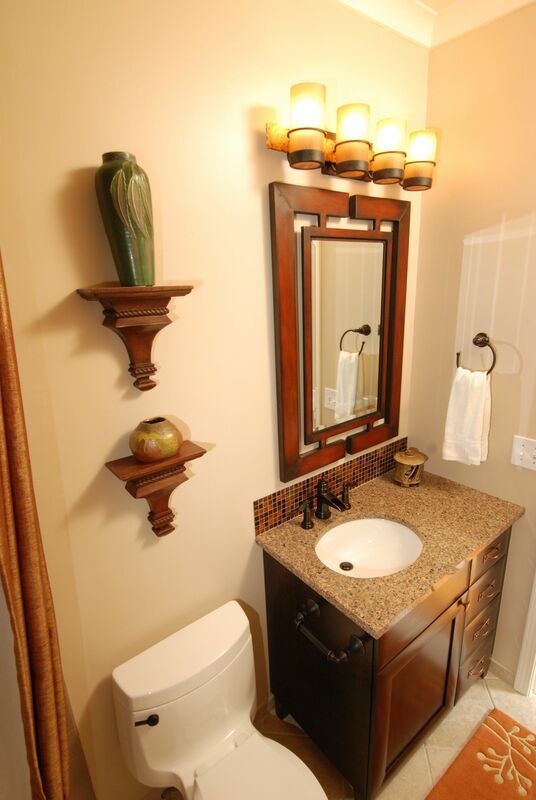 The existing layout was good, but we were able to create more storage space by using a vanity with drawers and offsetting the sink slightly. 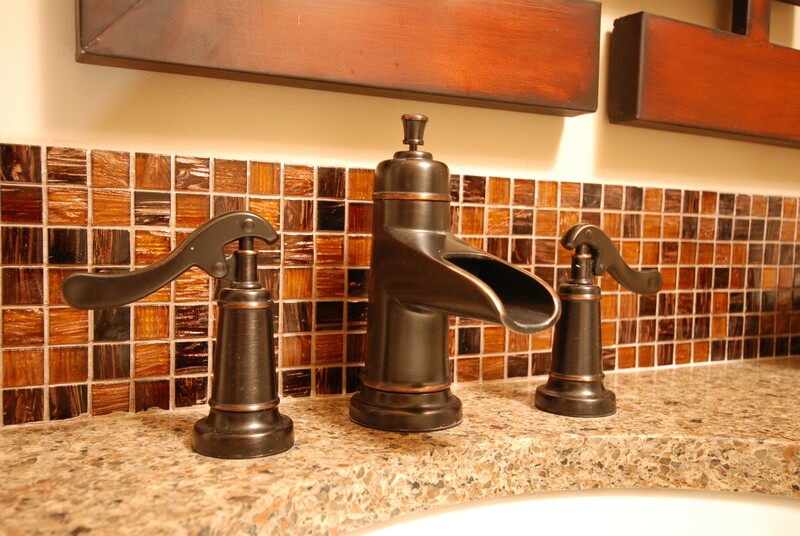 The glass accent tile gives the room a modern feel and contrast against the old world charm of the faucets.